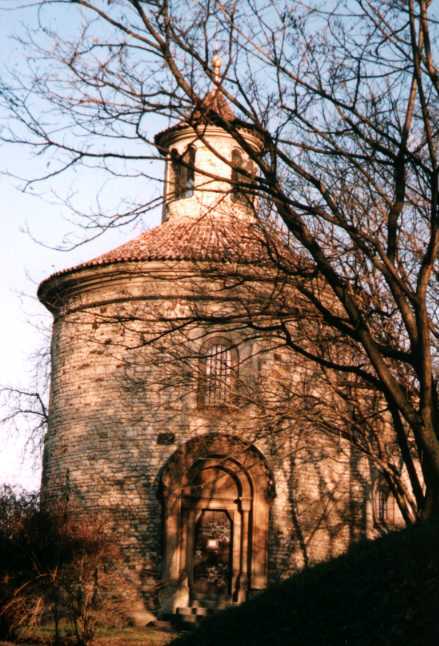 A pretty average picture of the Rotunda of St. Martin at Vysehrad. 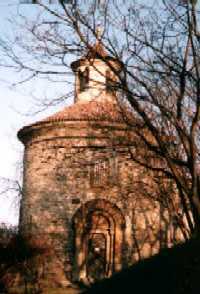 This Romanesque Church was built at the end of the 11th Century and was restored in 1719 and 1848. Follow this link for a better photo of the Rotunda. 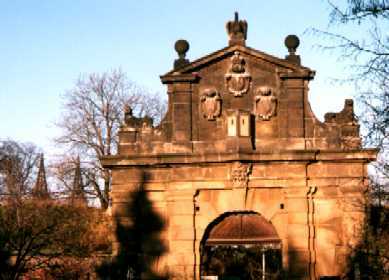 The Leopold Gate which formed part of Vysehrad's 17th Century fortifications. You can see the spires of the church of St. Peter & Paul in the background. 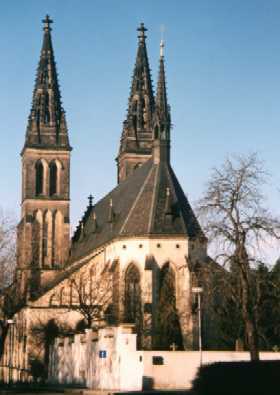 The Church of St. Peter and Paul was founded in the late 11th Century. 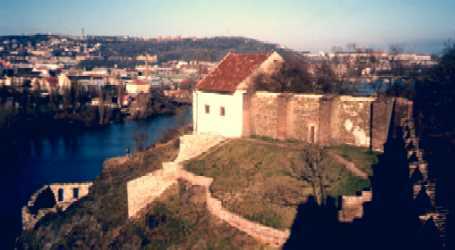 The original church burnt down and was replaced by another structure in the mid 13th Century. This church dates from the late 19th Century. The Vysehrad Cemetery, dating from 1869, is situated right next to the church and is the burial place for a large number of famous Czechs, including Antonin Dvorak. Vysehrad Rock, looking down to Libuse's Baths. These walls were once part of the defence walls of the castle at Vysehrad. 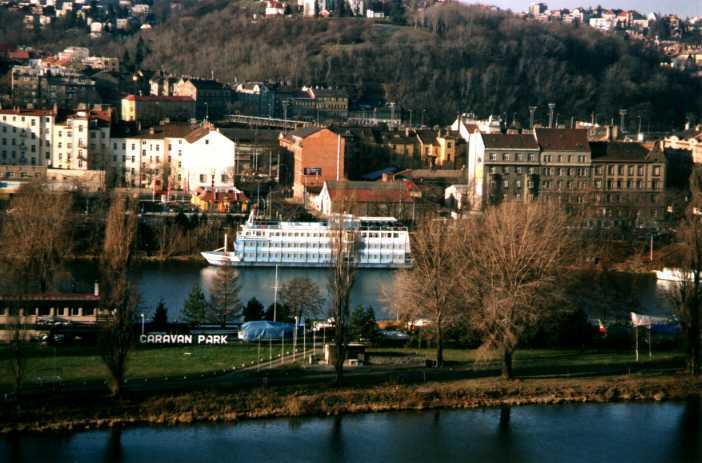 Looking down across the Vltava from the ruins of the defense wall in Vysehrad (see above). 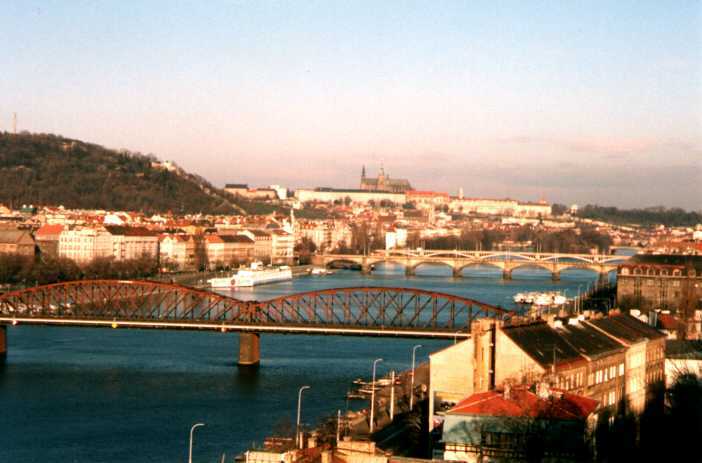 View of the Vltava, from Vysehrad looking North to the Prague Castle, over the bridges.